Hugelkultur is a German word that translates roughly to "mound culture." The usual approach is to pile up some wood and other debris, put plenty of dirt on top, and plant. Critics charge that the wood decay pulls enough nitrogen to inhibit plant growth for the first few years. Proponents claim the wood holds enough moisture to decrease the need for watering. For even greater water retention, some people dig a hole or trench and build a sunken hugelkultur bed. I decided to try that, and to underplant with clover and supplement my plants with nitrogen if necessary. 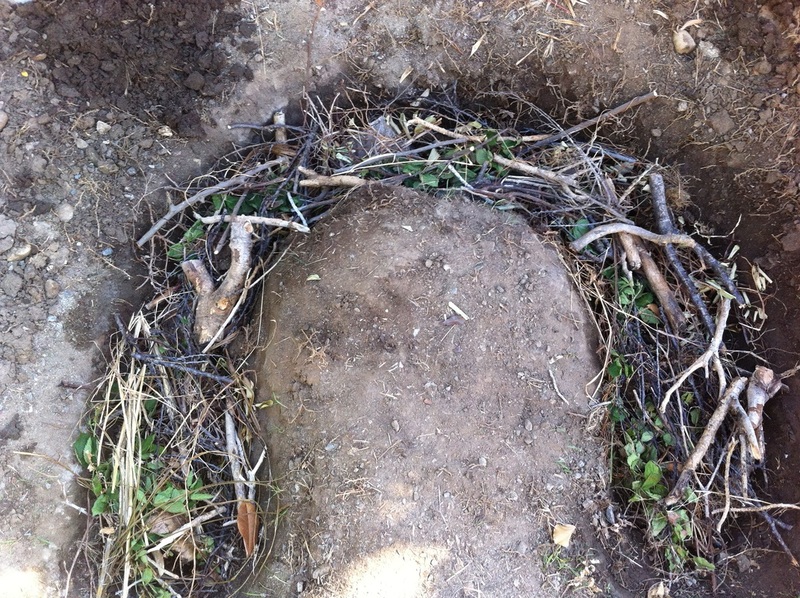 I added smaller plant clippings and straw, stomped it all down, and covered it all in a good thick layer of soil. Then it was time to begin planting! 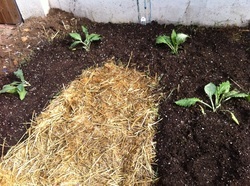 I put in four artichoke plants, watered them well and sprinkled clover seed all around. I'm hoping the clover will eventually help with the anticipated nitrogen issue, but we shall see! 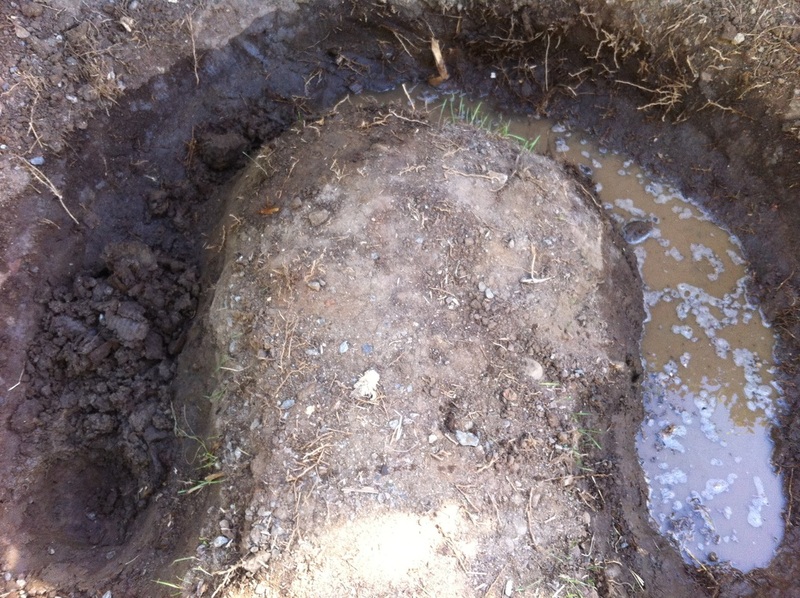 than just a rock or two and it was preventing the soil from draining well. But I had already started, the barrier was almost 2 feet down, and there was no other spot where I could garden with such complete creative control, so I decided to continue. Gathering enough woody debris was more of a project than I had anticipated. Old firewood, tree trimmings, miscellaneous branches I found in other parts of the alley--I piled in every last scrap I could find and still the trench was not filled.